Panda Surfboards in surfing heartland Costa Mesa, California, are known for their innovative and performance based surfboard design. Drawing on both traditional surfboard design as well as modern inspiration, head shaper Blake Peters has spent years testing and refining his board models to create a range of boards that suit every mood. Panda Surfboards is highly regarded amongst professional free surfers as one of the best surfboard brands in the world. The experience and feedback that the progressive team of Panda Ambassadors give to Blake is directly reflected in the designs he creates. Panda Surfboards pays tribute to breaking the norm and the conventional boundaries of surfboard crafting. Popular models include the Colin Moran Signature - Goose Model and the multi fin optioned Dolly Dagger. For more info and team members hit the profile link below. Founded by Blake Peters Panda Surfboards started on the Northern Beaches of Sydney. 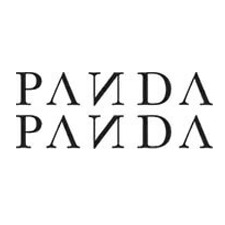 Panda was inspired by both modern and traditional surfboard design, Blake and his team of riders have refined the Panda Surfboard collection over the years to meet the needs of all types of surfers. Custom Panda Surfboards are manufactured in both Australia and in Costa Mesa, California with their boards being tested around the world from beach breaks to hollow reef breaks. Panda has a diverse range of shapes from high performance shortboards to retro inspired modern hybrids. Some of Blake's top models include the popular all rounder The Doinker, The Little Ripstick and the Ford Archbold pro model the Synthetic Sally. Always at the forefront of innovation and design, Panda Surfboards has an epic range of high performance alternatives such as The Norts a favourite of Brendon Gibbens and The B2, a board that Julian Wilson voted in the top 5 of the Stab in the Dark competition. Browse the full collection of Panda Surfboards available to customise and order direct from the Panda Surfboards factory.